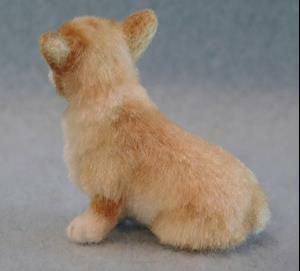 This week I'm offering this little corgi pup for auction! I'm partial to Welsh Corgis because I've had them for many years now! In my addmittedly biased option, Corgi puppies are the cutest! 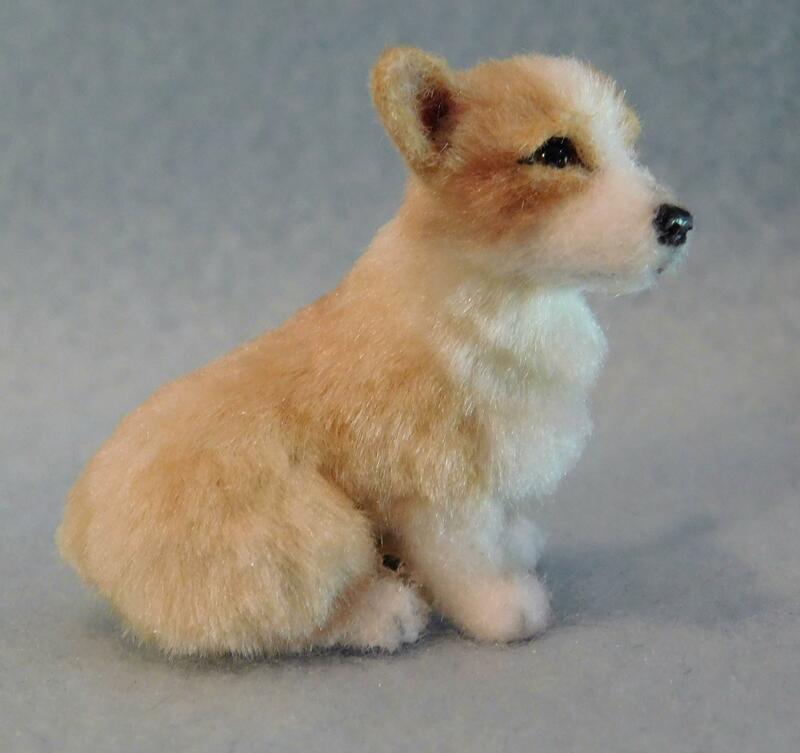 This little one was carefully sculpted in polymer clay, painted in detail with acrylics then applied the silk fiber one layer at a time and precision trimming him. 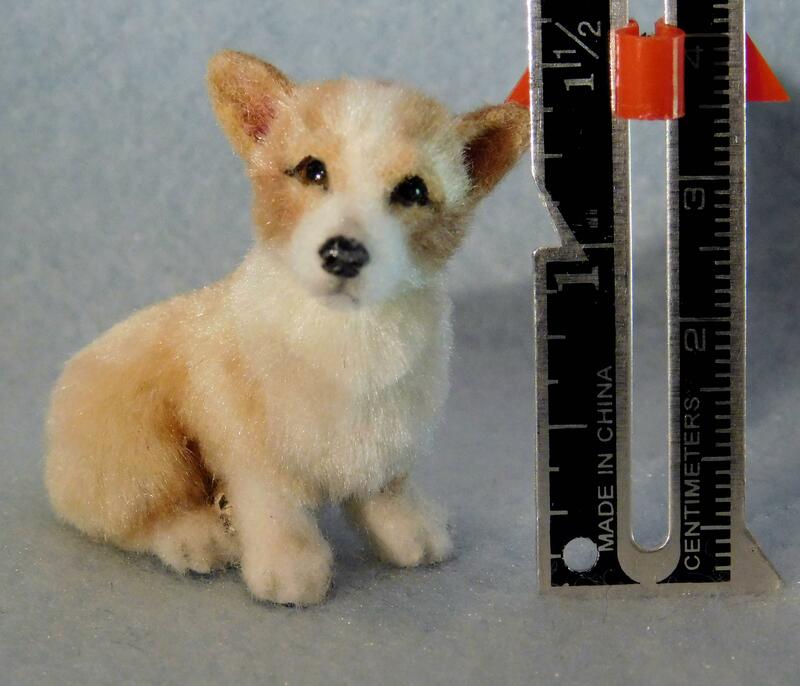 I made the eyes in a separate process curing them permanently into the sculpture giving him a lifelike appearance. I will send the new owner an original digitally signed certificate of authenticity at the conclusion of the auction (post payment) via email. 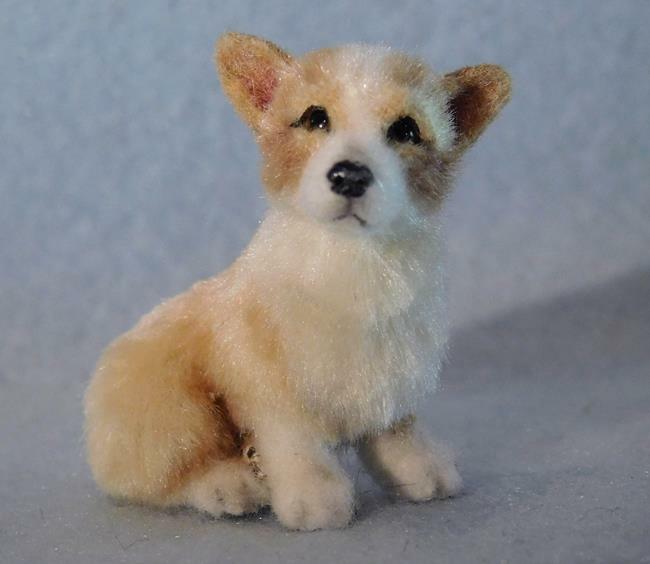 This sweet little Corgi would make a great addition to your original dollhouse collection!